Prioritizing Need Among Those Experiencing Homelessness Historically, those who were first in line for housing assistance were the first to receive help, regardless of factors like length of time homeless or health status. While this may have been the easiest way to address homelessness, it wasn’t the most effective way, and it prevented communities from making progress toward ending homelessness. In this interactive workshop targeted to Permanent Supportive Housing and Rapid Rehousing providers, speakers will discuss data-driven processes utilized in their communities to move more people into stable housing, while using limited resources as effectively as possible. Moving Beyond Homelessness & Housing Poverty The greatest need for affordable housing, on the local, state, and national levels, is concentrated among extremely low income renters, who are often forced to make difficult choices between paying rent and buying groceries or visiting their doctor. This is the definition of “housing poverty.” In the worst cases, these households become homeless. In this session, speakers will discuss evidence-based strategies highlighting the impact of affordable housing on upward mobility for households and families living at or below the poverty line. Innovations in Permanent Supportive Housing Development The growing affordable housing crisis has prompted Ohio’s non-profit and community-based developers to adopt a range of innovative approaches to serve people experiencing homelessness. In this session, attendees will hear from developers using innovative design and funding mechanisms to create and expand access to Permanent Supportive Housing. 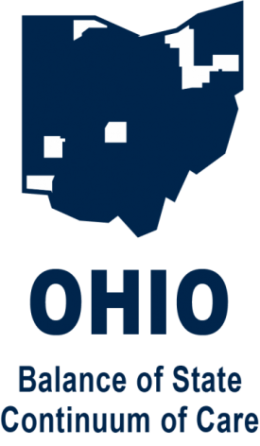 The Rights of People with Disabilities Under the Law Disability Rights Ohio will discuss how discrimination against people with disabilities is addressed by various state and federal regulations. This includes the right to be free from discrimination and the obligation of housing providers to reasonably accommodate the needs of people with disabilities and allow modifications for equal access. Speakers will also review issues like emotional support animals, accessible parking, and the implications of the Olmstead decision, which protects the rights of people with disabilities to be integrated in their communities. Meeting the Educational Needs of Homeless Children Children and youth experiencing homelessness face many barriers to getting the education they deserve and the services they need to succeed in school and beyond. In this session, attendees will learn about the unique needs of homeless students and the protections available under the McKinney-Vento Act. Speakers will also discuss recommendations for how teachers, principals, counselors and other school staff can work with providers to better support these youth. Racial Inequity in Our System 101 Minority groups experience homelessness at higher rates than whites and make up a disproportionate share of the homeless population. Understanding why people of color are over-represented in the homeless population requires a bold examination of long-standing social and structural issues facing communities of color. Speakers will investigate the connections between race and homelessness and review ways to eliminate these disparities. Workshop Set B: 1:30 – 3:00 p.m. Working with TANF to End Homelessness The Temporary Assistance for Needy Families (TANF) program provides cash assistance and supportive services to low-income families with children, including many who are struggling with homelessness. In this session attendees will learn about national and local examples of TANF being used to combat homelessness, and efforts to create a new TANF program in Ohio to fund rapid rehousing and homeless prevention. LGBTQ Youth and Faith Engagement LGBTQ individuals experiencing homelessness face a heightened risk of violence, abuse, and exploitation. Staggering levels of suicide are observed among these populations. Attendees will learn from an organization that engages with local faith communities to promote housing stability for LGBTQ youth. Start Your Own Social Enterprise Is your entrepreneurial spirit awakened by your desire to create positive change through business? Social entrepreneurs start mission-based businesses that use some or even all of their profits to advance a cause and create a sense of purpose with every purchase. Join us to learn how social enterprise can create jobs and generate income for those with employment barriers. Harm Reduction Housing: Building Recovery Capital Harm reduction housing maximizes access to services and provides the support necessary to maintain housing for those with addictions and other high-risk behaviors. Attendees will hear from providers who implement these strategies and build recovery capital, stabilize housing, and prevent overdose deaths. Moving Up Strategies Permanent Supportive Housing meets the needs of individuals who are the most difficult to serve. For some, PSH is permanent, but for others it’s a means to stability. We will discuss factors in determining when someone may be ready to transition out of PSH and strategies to ensure their success. Workshop Set C: 3:15 – 4:45 p.m.
Key Considerations in Developing LGBTQ Friendly Services and Housing Serving the LGBTQ community with dignity and respect is what homeless and housing programs should strive to do. Attendees will hear from two LGBTQ youth providers from two very different types of housing programs. We will also discuss HUD’s Equal Access rule and how to create a welcoming environment for the people we serve. The Ohio Human Services Data Warehouse represents a quantum leap toward obtaining the information we need to develop more comprehensive strategies to end homelessness. Attendees will learn how this tool, which merges data from multiple state and local agencies, facilitates cross-systems analysis to generate unduplicated regional homeless counts, identify prevalence of chronic homelessness, and understand client movement and service usage across continua. Working with Landlords in Housing First Programs Speakers will guide attendees through practical aspects of working with landlords in a Housing First program. They will present ideas, approaches, and resources that providers can use from the moment of shelter entry to maximize housing stability and prevent a return to homelessness. Blended Management Approaches in Permanent Supportive Housing Permanent Supportive Housing operators are responsible for managing real estate and meeting funders’ requirements; meanwhile, service providers are focused on improving stability for residents. At times, the work of managers and service providers may be at odds. In this session, speakers will explore how property managers and service providers are able to delineate roles and collaborate in order to successfully serve residents and best maintain real estate assets. In this session, providers will learn the details of the Violence Against Women Act (VAWA) regulations, including the rights of victims and the obligations of landlords. Have your questions answered and learn how to develop long-term strategies for continued VAWA compliance. Identifying and Understanding Implicit Bias (Part 1) In Part 1 of this 2-part series, attendees will learn about understanding implicit bias and how these associations can influence behavior, making people act in biased ways even when they are not explicitly prejudiced. The session will focus on how systems operate through conscious and unconscious actions and beliefs to exploit some and benefit others based on perceived membership in social groups, like race, gender, sexual orientation, class, religion, and ability. Thank you to the Nord Family Foundation for supporting need-based scholarships to attend Housing Ohio 2019.